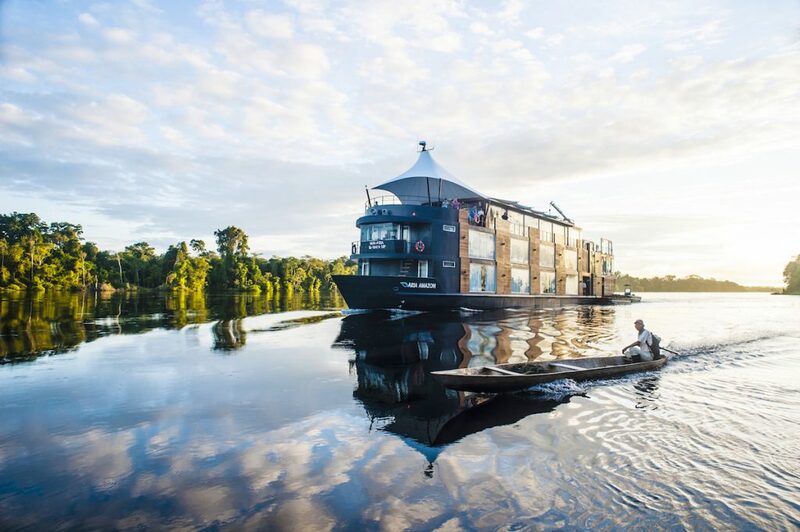 Luxury river operator Aqua Expeditions has announced a series of theme cruises on the Amazon and Mekong rivers for 2018, including 3-, 4-, and 7-night departures hosted by conservationist and filmmaker Jean-Michel Cousteau (February 9 to 16 and October 5-12); chef-hosted departures with Pedro Miguel Schiaffino (September 24-28 and October 29-November 2) and David Thompson (June 22-26 and August 3-7); and founder-hosted departures with Aqua Expeditions’ founder and CEO, Francesco Galli Zugaro (April 2-6, May 4-8, August 31-September 4, and November 19-23). Holland America Line is showcasing the food geniuses from America’s Test Kitchen on three upcoming cruises – a 7-day Alaska Inside Passage trip on Westerdam in May, a 14-day Northern Isles trip on Zuiderdam in July, and a 7-day Canada & New England Discovery trip on Veendam in September. The culinary cruises will include hands-on workshops, cooking shows, book signings, and kitchen trivia contests. Polar line Quark Expeditions is launching a new Arctic program for summer 2019, with cruises spanning the five main regions: Spitsbergen, Greenland, Canada’s High Arctic, the Northwest Passage, and the North Pole. Off-ship adventures include sea kayaking for experienced boaters and paddling excursions for beginners. There will also be special voyages focusing on photography in extreme conditions and polar bear conservation. Luxury expedition line Silversea will be welcoming shutterbugs to the frozen south with My Photo Academy sailings to Antarctica. Silver Cloud’s Photo Studio, designed with the Swiss company Galardi Media Network, includes digital processing for Mac and PC users, as well as high-quality photo printers. The sailings feature experts who can give one-on-one guidance on choosing gear, creating memorable photos, and sharing on social media. Carnival Miracle has kicked off a year-round schedule of 7-day cruises from Tampa, departing on Saturdays or Sundays and calling on four western Caribbean ports: Cozumel, Grand Cayman, Mahogany Bay in Roatan, and Belize. The voyages are part of Carnival’s “Cozumel Plus” program, featuring extended stays and excursions onto Mexico’s mainland. Miracle will also be sailing 6- to 14-day journeys across the Caribbean and partial transits of the Panama Canal, sailing onto Gatun Lake, one of the Seven Wonders of the Modern World.